Willow was just finishing the last detail on the painting of El Capitan in Yosemite, she was going to give it to Steve for Christmas, when she heard a loud thump followed by a string of swearing. Steering her wheelchair to the top of the basement stairs, Willow peered down to where Bucky was sprawled out at the bottom of the stairs. Tilting her head and grinning at him, Willow said, "Smooth move there my russian ballerina. Absolutely beautiful." 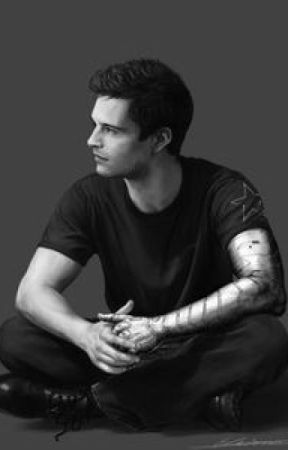 "Thanks for the sympathy," Bucky called back up, laughing. "Am I going to need to get you a life alert necklace?" Bucky scrambled to his feet and walked up the stairs. He had a small cut on his cheek, probably from the hand rail on the stairs. Willow was soaking a rag in water, before wringing it out and glancing at Bucky. "Sit down so I can see that cut." Willow dabbed gently at the cut with her rag, "I think you&apos;ll live Buck." Bucky grinned, "Oh thank God my face isn&apos;t messed up, that&apos;s the only reason you and Lulu keep me around." Willow threw her head back and cackled, "We&apos;d keep you around just so you can lift all the heavy objects." "Ow, Willow ease up with the rag." "Awww, poor baby. Want me to kiss it all better?" That was a running joke with Bucky and Willow now. 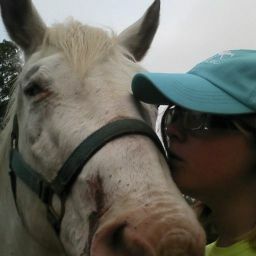 Willow leaned forward and kissed Bucky&apos;s cheek. "There. Better?"